The overall condition of sealed roads is to be described by two parameters; Pavement Condition Index (PCI) and Surface Condition Index (SCI). The PCI of a road section is a function of its roughness, and the extent and severity of crocodile cracking, rutting & patching. The SCI of a section is determined by its roughness, and the extent and severity of environmental cracking, stripping & potholes. Roughness is a condition parameter used to characterise deviations from the intended longitudinal profile of a road surface. Roughness data is typically measured with a laser profiler installed into a purpose built survey vehicle. An IRI score is recorded for each 10m section of road, and this data is averaged out over the length of each road segment. The roughness score is used in calculating both the PCI and SCI for sealed roads. 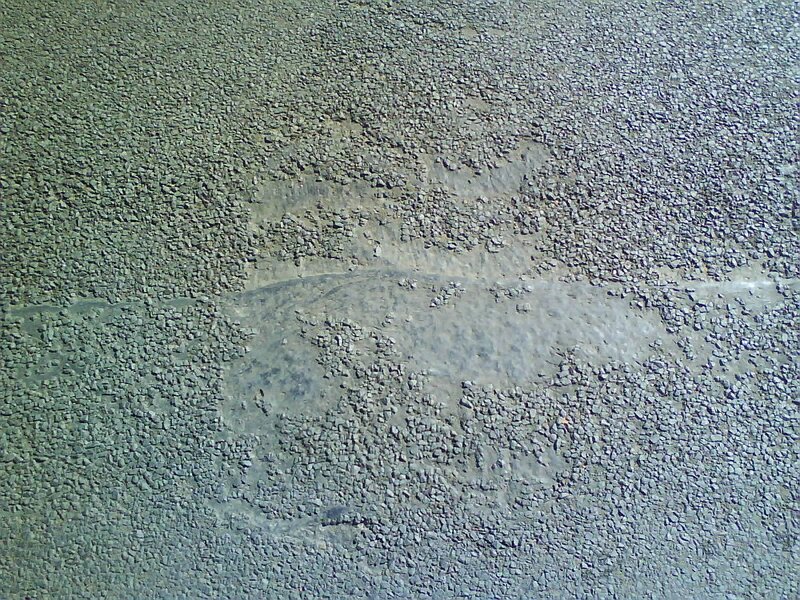 Crocodile Cracking is interconnecting or interlaced cracking in a road seal resembling the hide of a crocodile. Cell sizes can vary in size up to 300mm across, but are typically less than 150mm across. Both the extent & severity of crocodile cracking needs to be ascertained. The severity of crocodile cracking is determined by the width of cracks. Each 10m section of road is given a crack severity score in the range 0-3. The overall score for the road segment is the average of the individual scores. The extent of crocodile cracking is determined by the pecentage of road surface that is subject to cracking. Each 10m section of road is given a crack extent score in the range 0-3. Both the extent & severity of environmental cracking needs to be ascertained. 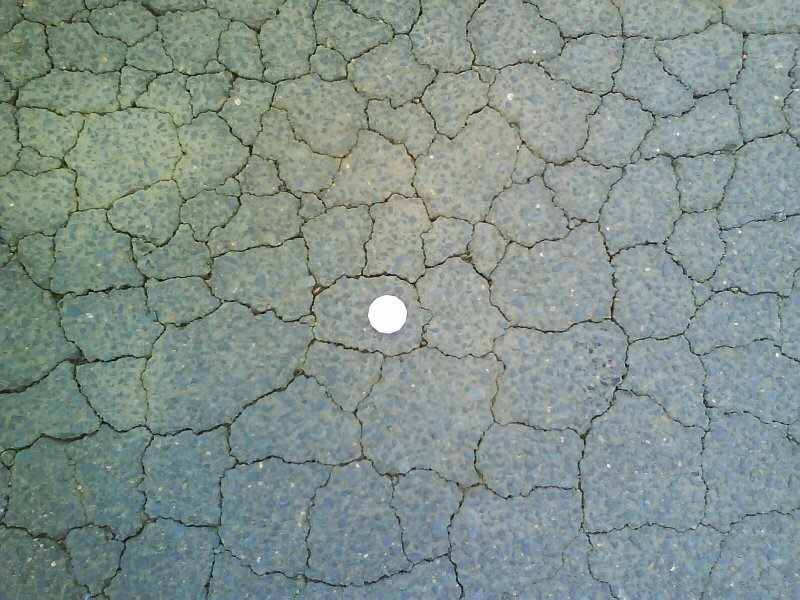 The severity of environmental cracking is determined by the width of cracks. Each 10m section of road is given a crack severity score in the range 0-3. 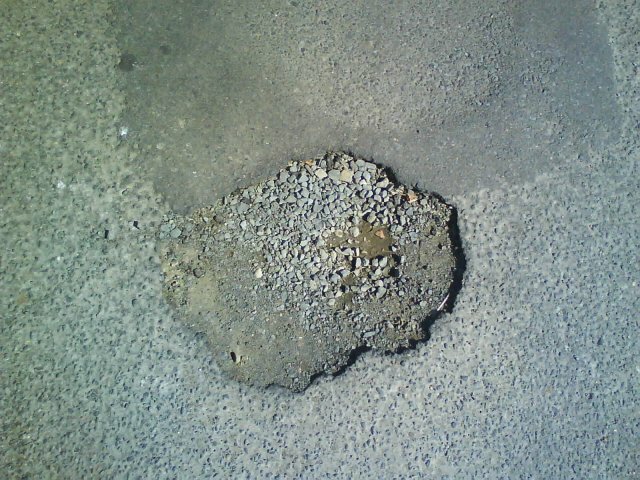 The extent of environmental cracking is determined by the pecentage of road surface that is subject to cracking. Each 10m section of road is given a crack extent score in the range 0-3. Stripping is the loss of aggregate from the surface, resulting in exposed binder and/or pavement. The stripping score is determined by the pecentage of road surface subject to stripping. Each 10m section of road is given a score in the range 0-4. 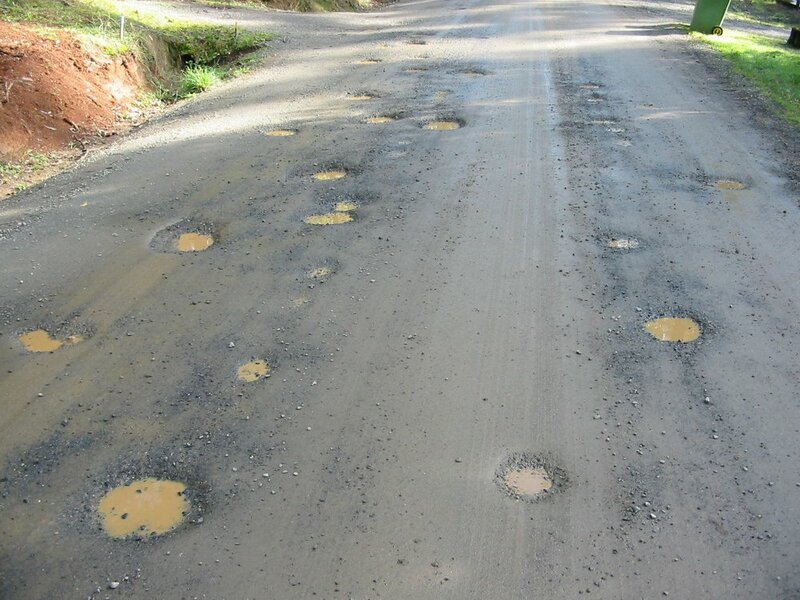 The pothole score is determined by the pecentage of road surface with potholes. Each 10m section of road is given a score in the range 0-4. A pavement patch is pothole or other pavement or surface defect that has been repaired with premix. The pavement patching score is determined by the pecentage of road surface that has been patched. Each 10m section of road is given a score in the range 0-4. Rutting is the longitudinal vertical deformation of a pavement surface in a wheelpath, measured relative to a straight edge placed at right angles to the traffic flow and across the wheelpath, with a length/width ratio greater than 4:1. The standard measure for rutting is the maximum depth under a transverse 1.2m straight edge. The rutting score for a road segment is calculated by avergaging the maximum depth measurements for each 10m section of the segment, rounding down any depths over 25mm to 25mm. For example, if the recorded maximum rut depths for a 100m road segment were; 10mm, 15mm, 35mm, 20mm, 5mm, 4mm, 50mm, 10mm, 9mm & 15mm. Ravelling is the progressive disintegration of a pavement surface through loss of both binder and aggregate. Ravelling is not currently used in calculating a road's SCI, but there is a ravelling field in MyData that can be used to store a road sections ravelling score. 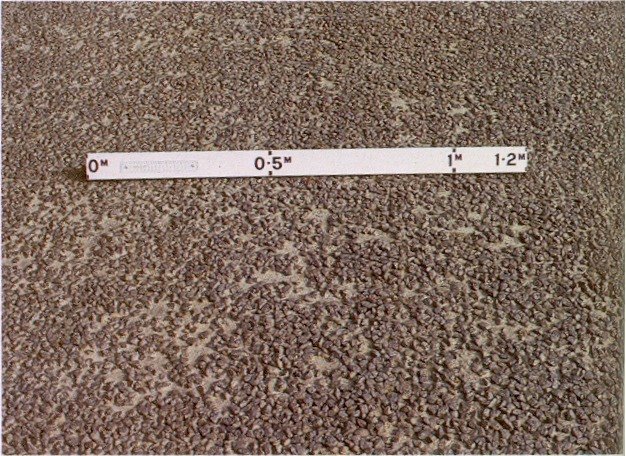 5 Aging Surface >20 years old Asphalt surface is worn out, lots of wear and tear, typically the entire segment has pockets of fatigue saturation and loss of material. There is lots of wider cracking. 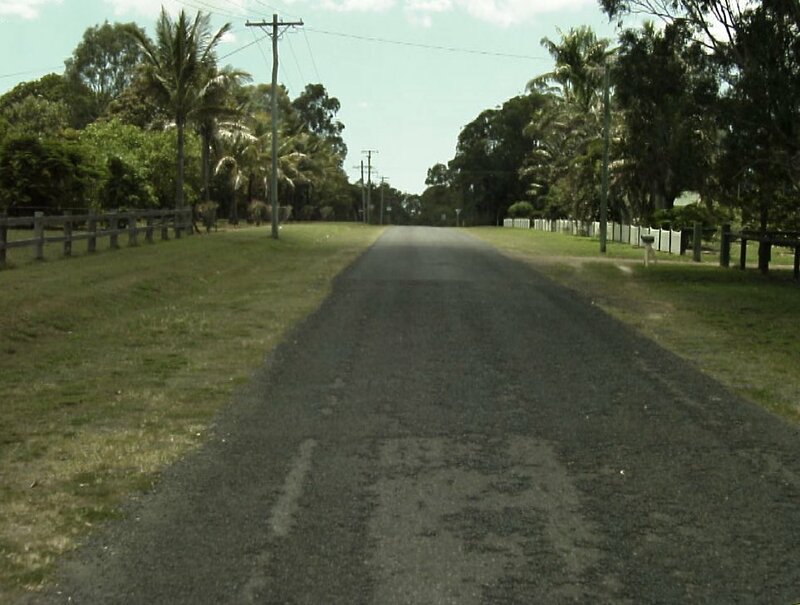 Pavement defects include, corrugations, shoving, depressions and unsucessful patches. The extent and severity of pavement defects is not currently used to calculate a road's SCI or PCI, but there are fields within MyData to record a score if it is known. Looking at the Deformation Extent Table, 5% falls into rating 3 for this segment. Now apply the most predominant severity level identified in the rated segment. It is possible to calculate overall condition scores for road segments by applying a formula to the values of more specific condition information. When AARB collected condition information for the BRC sealed road network they suggested the following default weightings for calculating a road segment's Pavement Condition Index (PCI). It is proposed to use these default values for the time being, and to update them if and when we being to gain a better understanding of the peculiarities of BRC's road network. When AARB collected condition information for the BRC sealed road network they suggested the following default weightings for calculating a road segment's Surface Condition Index (SCI). Gravel depth, shape loss & cross section. Gravel depth is the average depth of imported gravel pavement. Gravel depth is the main indicator of when a road should be resheeted. Shape loss is a generic term for a number of defects including; rutting, scouring, corrugations, depressions, pothole, etc. Unsealed Roads that have been identified as concern by the District Engineers during the year are assessed by a team of two inspectors. They are assessed visually and their pavement depth in determined. Pavements with gravel depths of 50mm - 75mm or less are considered for resheeting, and prioritised on the basis of the number of properties they serve. The visual inspection helps determine if maintenance grading is required and an assessment is also made about whether a low cost seal may be an option. A footpath is a strip of concrete, asphalt, pavers, bitumen seal or crushed rock laid between the back of kerb and the property boundary (or elsewhere) for use as a path by pedestrians. Defects associated with footpaths include, vertical joint displacements, cracking, panel displacement due to tree roots and spalling. BRC's Asset Management System has the ability to calculate an Overall Condition Index (OCI) for footpaths based on values for stepping, cracking, displacement, gravel loss, utility and pram ramp, but we are curently just giving footpaths an overall condition score in the range 0 to 6 and entering that value into the stepping field. The table below shows the relationship between condition and remaining useful life that is used by our Asset Management System, and a description of the footpath's condition. In practice, the great majority of footpath defects are fixed one or two panels at a time under maintenance, and the overall condition scores for footpath segments rarely if ever drop below conditiion 4. Kerb & Channel is a concrete or stone structure typically located at the edge of a road designed to provide road drainage, and as a barrier to prevent vehicles from leaving the road carriageway. 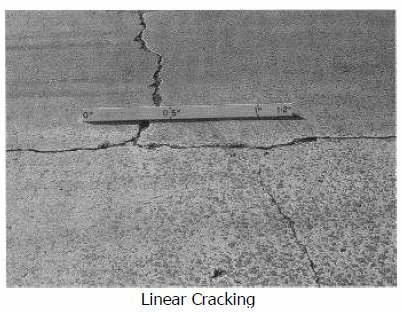 Defects associated with kerb & channel include; rotation, vertical displacements, cracking, breaks, spalling, depressions & ponding. Total the length of concrete kerb and channel bays displaying distresses such as vertical displacement, depression, cracking, tilting and/or heaving for the kerb and channel segment; Noting that the extent measurement should extend to the areas where the cuts will be. Looking at the extent table above, 15% falls in condition rating 4 for this segment. Now apply the most predominant severity of these defects. The photos used in this document have been sourced from a number of places, including the "A Guide to the Visual Assessment of Pavement Condition". published by Austroads in 1987. Clicking on a photo, will open a page explaining more about the photo and from where it was sourced.